I teach undergraduate and graduate employment law classes at Penn State. Every semester, we cover a NLRB decision from 2011, MasTec Advanced Technologies. MasTec employed a bunch of DirecTV installers. It was important to DirecTV that the installations include a telephone landline connection to the satellite receiver - the receiver functioned without a connection, but the connection enabled certain features for customers, and provided viewing information to DirecTV (important for making programming decisions). So, MasTec told the installers to do whatever it takes to get a phone line connected. Eventually, MasTec implemented quotas, pay decreases for installations without a connection, a $5 back-charge per unconnected installation if the installer failed to meet the quota, and eventually even termination. The employees did *not* like the new rules, and tried to work things out with management but failed. So, what did they do? They went to the local TV station, blasted their employer on-air, and told everyone that DirecTV installers were being told to lie to customers. MasTec terminated the employees. The NLRB held that the terminations violated the NLRA's protection of concerted activity. The basic point of the case is that employees cannot be fired for banding together to address the terms and conditions of their employment. The tricky part of this case was analyzing whether they lost their protection due to their allegedly disparaging and disloyal conduct. 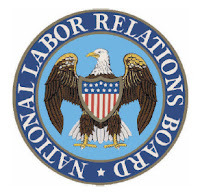 The NLRB held that they did not cross that line and lose their protection. Sometimes, while reading cases to prepare for class, I wonder, "whatever happened to that case?" Well, last semester, I was surprised to see that this case was still alive! The employer had appealed it up through the D.C. Circuit court (which affirmed the NLRB decision), and even petitioned the Supreme Court to hear the case. It would have been a really interesting case for SCOTUS. Alas, it was not to be, the Supreme Court denied the petition on October 2, 2017. That is almost certainly the end.